In recent years, in order to promote the development of the industry, maintain the order of the industry, reduce the cost of exhibitors, improve the gains and benefits of the exhibitors, it is initiated by the industry association. The Guangzhou International Shoe Material Machinery Leather fair will be held from May 30th to June 1st 2018 at Pazhou Poly World Trade Center in Guangzhou. The exhibition is for the shoe machinery industry. 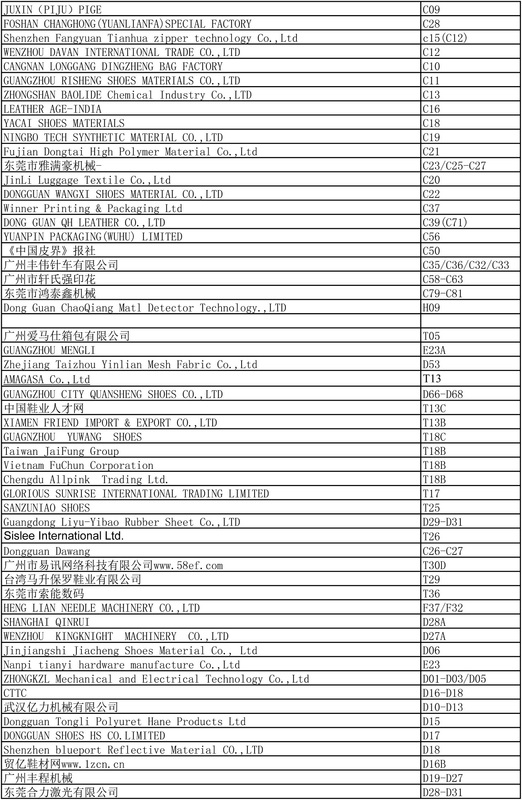 Jointly sponsored by Guangdong Shoe Machinery Association, Guangzhou Ruihong Exhibition Service Co., Ltd.
2 . Each booth is 7800 yuan to show up ! Experience the industry ' s temperature more people ! China shoes industry professional exhibition, Zhejiang Wenzhou, Fujian Jinjiang, the most attractive price is China interantion Shoes Material Machinery Leather Fair by Guangdong Shoes Machinery Assocaiation.Not this Shoes Exhibition will not dare to charge high prices, but the industry is in the weak profit, high cost period, the exhibition as an industry platform, naturally to reflect the industry temperature, in order to compare Zhejiang. Fujian exhibition almost 1/2 low price to participate in Guangzhou International Shoe Material Machinery Leather Exhibition,This exhibition is based on Guangzhou, radiation throughout Southeast Asia, a professional shoe machine shoes exhibition, this account has in fact many people have already understood. For a week,Guangdong shoe machine museum is about to full this point of view, you can see the trend of enterprise selection energy. Data show that Guangdong is the world's largest shoe production base, with more than 35000 shoe enterprises, more than 20000 supporting enterprises. More than 15000 related traders and buyers and so on. About 65% of the world's high-end shoes or famous shoes from Guangdong, sports shoes accounted for the world's 1/4 of the production of sports shoes. 100 million pairs of every 400 million pairs of sneakers in the world are made in Guangdong. Buyers at the fair include the world's largest trading companies such as Levy, Pinomon, and other well-known traders, buyers also included the Sonaron BBC. 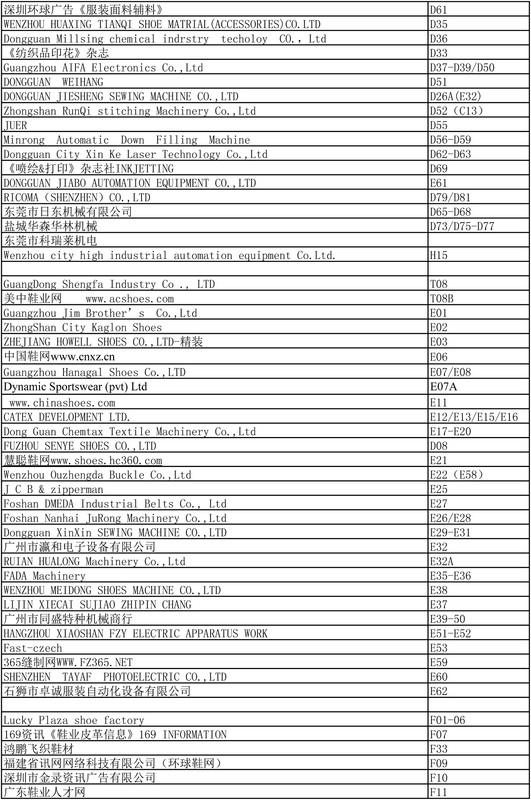 Jimla, Seiyang, Tepin, Pacific, Leeds, Red Forest, Mai Guangdong has the largest production scale of sports shoes in the world-Yuyuan Group, the world's most famous casual shoe manufacturers-Xingang Group. China's largest women's shoe manufacturers-Huajian Group. In addition, Guangdong also gathered such as the Deibu Group (Oasis shoes, Green and Yang shoes, Shuntian Group (Likai shoes, Lixiang shoes, Liyang shoe industry)). Gong Sheng Group (Yongxin shoes, Yongbao shoes, Yongjin shoes, Yongsheng shoes, Yongyi Shoe Industry, Huafeng Group (Ryan shoes, Ruixing shoes, Ruibang shoes, Han attainments shoe industry) and dozens of other popular footwear groups around the world. At that time, the exhibition will rely on Guangzhou Ruihong exhibition company accumulated for nearly ten years of global shoe buyers database and Guangdong shoes Machinery Association President Vice President and member enterprises of their own existing customer groups, large-scale publicity and solicitation. There will be provinces and cities in mainland China, Vietnam, Myanmar, Singapore, Malaysia, Thailand, the Philippines, Taiwan, Hong Kong, China, Bangladesh, Brazil, Egypt, France, Germany, Japan, South Korea, the United States. Professional shoe manufacturers from Mexico, India, Indonesia, Spain, Britain, Pakistan, Turkey and other countries and regions visited and purchased shoes, including world-renowned shoe manufacturers: Nike, Adida. Reebok, Puma, Converse, Inpaq KAPPA back-to-back New Balance Kswiss Viagra Asics. Manolo Blahniki Jimmy Chooan Christian Louboutinn Silvano Lattanz Lang Danze. 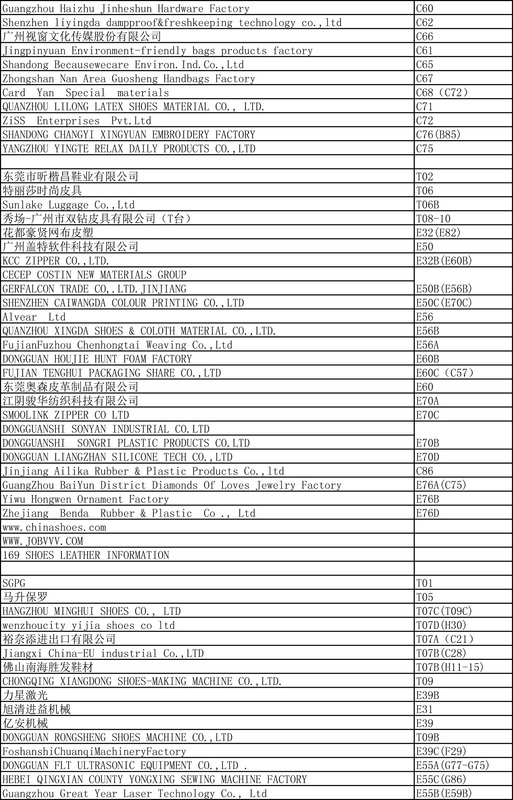 Tishi Tony and other international well-known brands, domestic enterprises such as Levy, Pinomon, Yuyuan Group, Hing Ang Group, Hua Jian Group. 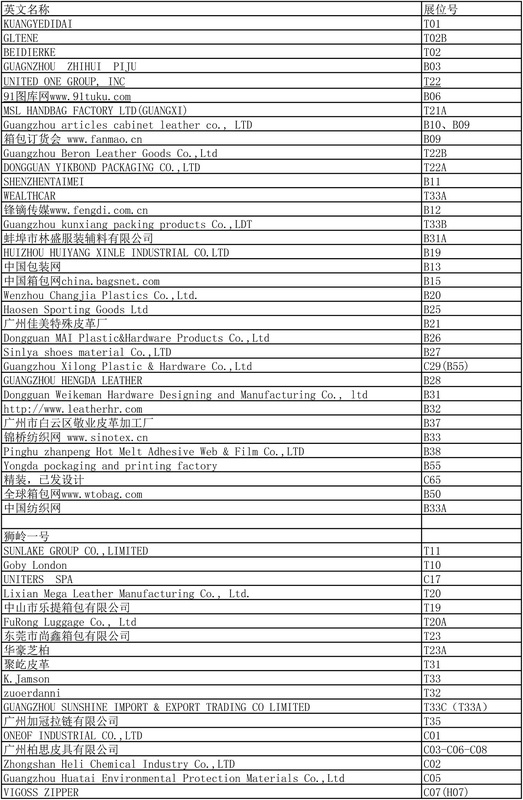 Deibu Group (Oasis Shoe, Green Sun Shoe Industry, Shuntian Group (Likai Shoe Industry). 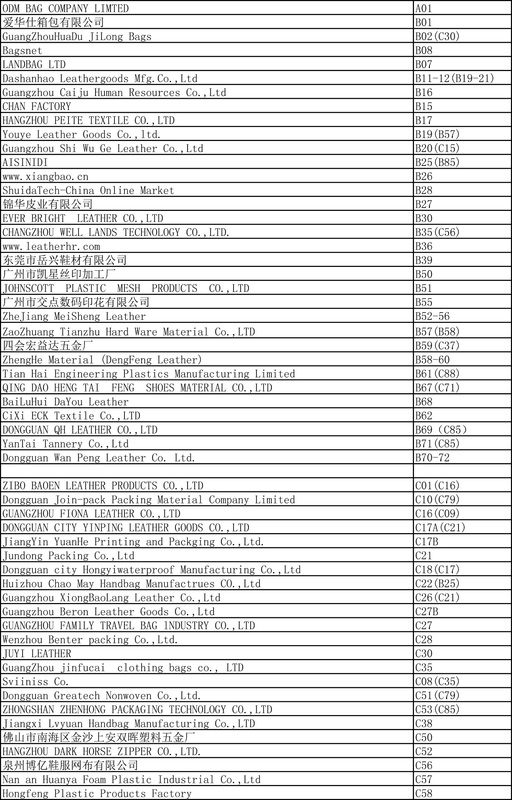 Lixiang footwear industry) , Gong Sheng Group (Yongxin Shoe Industry, Yongbao Shoe Industry, Yongjin Shoe Industry, Yongsheng Shoe Industry, Yongyi Shoe Industry, Belle Group, Hua Feng Group (Ryan Shoe Industry, Ruixing Shoe Industry, Ruibang Shoe Industry). 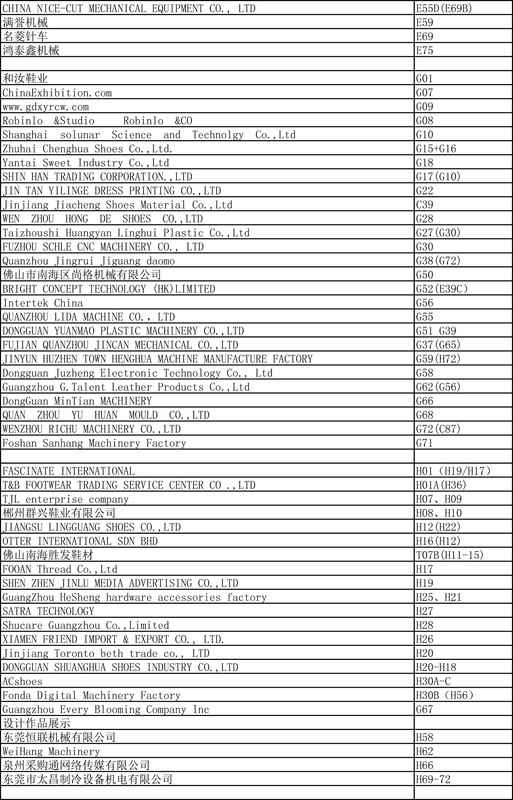 Han attainments shoe industry) and other enterprises to visit the procurement.